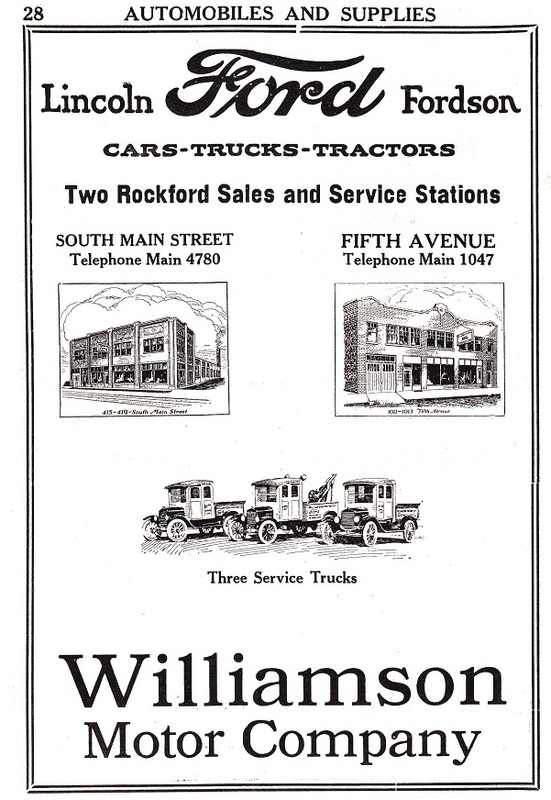 Source: 1924 McCoy’s Rockford City Directory 415-419 So. Main St., 1011-1013 Fifth Ave. Addresses, Autos, Business, General	1011-1013 Fifth Ave., 1924, 415-419 So. Main St., Williamson Motor Co.